There’s no getting around it. The user experience you provide affects your bottom line. How people feel when they interact with your website and how easily they can find what they’re looking for are huge factors in whether they’re willing to put trust in your brand. Good experiences boost your business; bad experiences drive away potential contacts, negatively impact your search rankings, and—frankly—just make you look bad. It’s one of those things that makes perfect sense when you think about it, but not everyone is thinking about it. Are you? 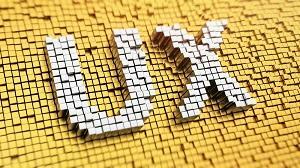 A great user experience (“UX” in marketing jargon) is almost invisible, and that’s why it often flies under the radar until something goes wrong. People don’t really notice when everything works as it should and delivers what they expect. However, they always notice when your site is hard to use, frustrating to interact with, or impossible to find. Everything should work right. 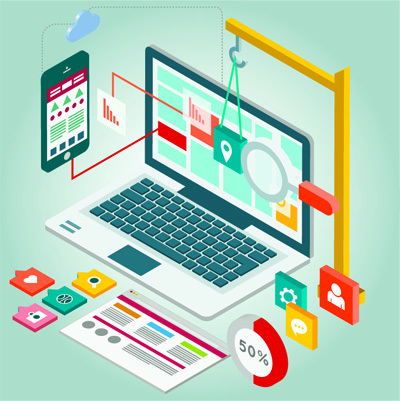 A website should work as intended, whether you get there on a desktop computer or on mobile. It’s the simplest expectation your users have coming into the experience, and it’s the easiest thing you can do to make that experience pleasant. If people encounter broken links, broken elements, slow load times, or other technical issues, they aren’t going to be patient and come back later. They’re going to move on to a competitor’s site that does work for them. Start fixing it today: In the long term, you need to make sure you have a great design foundation and a plan for identifying and correcting potential problems that sour the experience. However, you can start today by looking at your website—especially your mobile website—and trying to Google your practice. Write down any problems you see, and come up with a plan for prioritizing and addressing them. Everything should be findable. If your design makes it hard to navigate to key information or leaves “orphan” pages that no one can get to, your design isn’t providing a good user experience—no matter how flashy or attractive it is. Start fixing it today: Pull up your site and try to find some of the content you’ve recently posted, or let a friend or family member take a look. If you’re confused about where to go, what to click, why things are organized the way they are, or what to do, then you know it’s time to think about an overhaul. Everything should offer digestible value. Are you starting campaigns or adding more content to your website without a strategic plan? People come to your website because they have questions or need information related to your practice. If they find a lot of confusing information that uses language they don’t understand, they will move on to someone else. Content is the real “meat” of your website, and it needs to be well-written, valuable to your users, and formatted to be easy to scan and digest. Huge, in-depth studies are too much, but thin or irrelevant content is too little. Start fixing it today: Decide what your five most important pages or pieces of content are. Proofread those pieces carefully, and insert headlines and images to break up big blocks of text. Update any inaccuracies, and flesh out (or dial back) pieces as needed. DSS™ (Dynamic Self-Syndication™) makes it easy to make quick updates or even delete pages that are no longer useful, and those changes go into effect almost instantly. Everything should make you look good. Every aspect of your website design and online presence should reflect your personality, expertise, professionalism, and experience—in other words, it should radiate trust and authority to your potential contacts. Outdated or confusing designs, poor-quality video and photographs, and unedited or irrelevant content make you look sloppy and unprofessional, even if you provide top-notch services in reality. Your image needs to be consistent and professional across the board if you want to impress your perfect clients. Start fixing it today: Start with the basics. Make sure you’ve claimed your business listings and that your profiles are complete and accurate. Even small inconsistencies have a big effect, so make sure your name, address, phone number, etc. are exactly the same everywhere you appear. In the long term, you’ll also need a plan for improving your design, images, videos, and any other rough edges that are dragging you down. Remember that you don’t necessarily have to please everyone, but you definitely need to impress your target audiences and “perfect clients.” To do that, you need to have a strategy in place to reach them, and that means knowing who they are, where they live, what they want, and how to give it to them. It sounds like a lot, and it is. But the rewards that you reap from an effectively designed website and pleasant user experience are nearly too great to quantify. If you don’t provide a good user experience, or if you don’t know whether you’re providing a good experience, then you’re already losing potential contacts. Need help making your user experience pop? Contact us for a review of your current efforts in a one-on-one design consultation and additional guidance from our friendly marketing experts.